Budapest: Head of Water Authority Eng. Mazen Ghoneim signed with the minister of Interior of Hungary Mr. Banter Sando this morning, a memorandum of understanding on cooperation in the field of integrated water management at the Interior Ministry headquarters in the Hungarian capital Budapest, in the presence of the Ambassador of the State of Palestine in Hungary Ms.Marie Antoinette Sedin and the Hungarian Deputy Minister of Water Affairs and in the presence of a high level delegation of both countries. Eng. 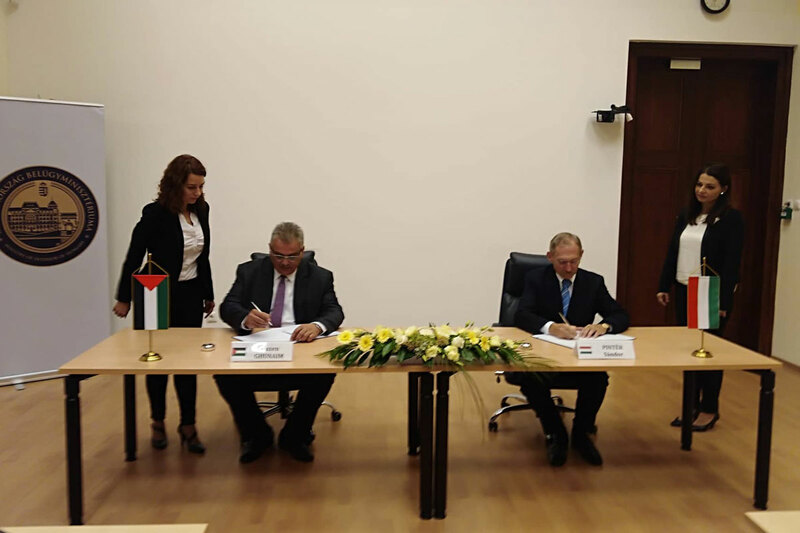 Mazen Ghneim expressed his happiness in the meeting and the signing of a memorandum of understanding on further development and expansion of international relations between the two countries, aware of the importance of cooperation and coordination of efforts between Palestinian and Hungarian institutions responsible for water management. 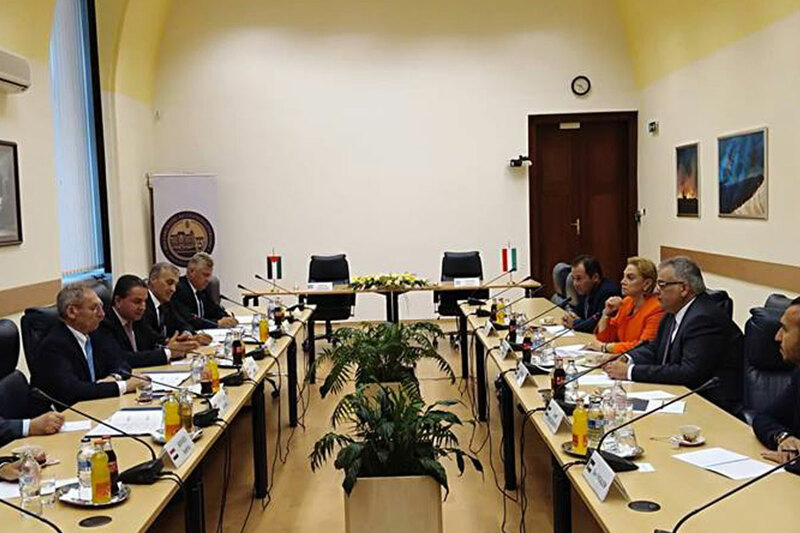 Ghoneim also stressed the importance of joint cooperation, where the parties agreed on forming joint committees to start working with the Hungarian side and begin the practical application of the memorandum in a clearly defined and objective formal framework. For his part, Mr. Bantier welcomed the head of the water authority, stressing that this sign comes after intensive efforts from both parties culminated in the signing, and expressed his pleasure and his Government with bilateral cooperation by starting work on the formation of joint committees. It is noteworthy that this memorandum is the first between the two countries in developing bilateral cooperation in capacity-building programmes and broaden work modern methods, as part of the strategic plan of the water authority in developing its relationship with States for use in integrated water management, and exchange experiences and best practices for the development of the water sector in Palestine. Eng. 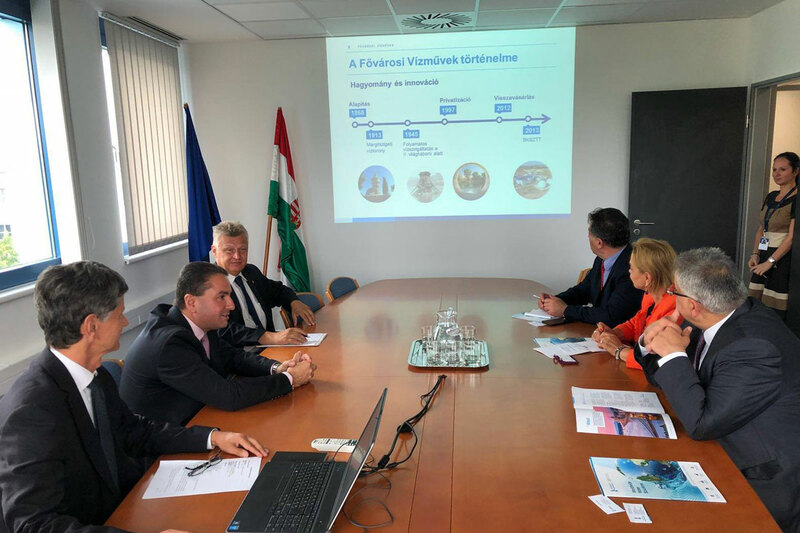 Ghoneim completed the tour through a meeting and visit the National University of Public Service, Where ways of joint cooperation were discussed, and finally visit Budapest Waterworks.